In 2016, I graduated from Messiah College with a Bachelor of Fine Art with a concentration in Three-Dimensional Studies. Currently, I am living in Easton, PA and working for my families pottery business, Rimi Studios, in Warren County, NJ. Primarily, I am concentrating on producing my own line of functional wares. My current work is heavily illustrative and personal to my own emotional experiences. I use high-temp clay bodies and underglazes focusing on story telling and introspection. 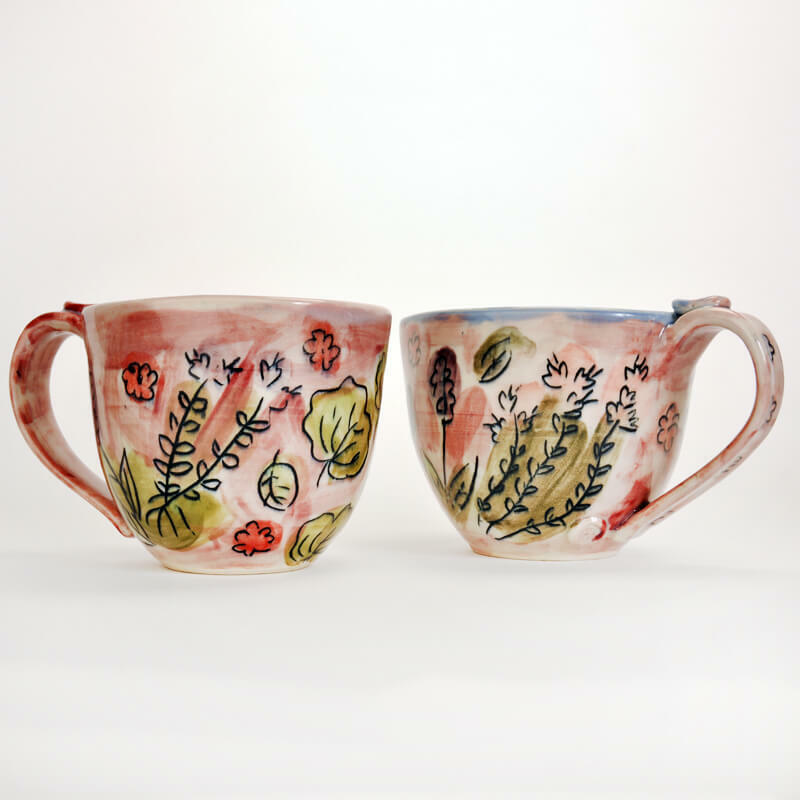 My work reflects environments and snippets of real life experiences isolated on a white clay body.The imagery I draw on my pots are small scenes and day dreams of personal growth moments pulled from weird corners of my brain. I love the feelings that manifest out of comfortable situations, uncomfortable environments, and vice-versa. I enjoy taking those encounters out of context, analyzing each circumstance, and illustrating them on my wares. Many of these emotions are rooted in my childhood. My pots express the late bloomer that I, in fact, am and because of this, my pieces can be slightly confessional and cathartic. I am exploring the process of accurately depicting and understanding myself by asking heavy hearted questions through playful imagery and whimsical messages. As I actively recreate these spaces in my mind, I am digesting reality and the paths that life takes me with a strong focus on the parallels, harmonies, and dissonances between my childhood and present day.